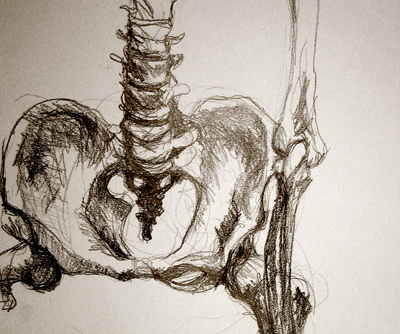 I have spent today teaching an anatomy drawing class which included careful observations of a human skeleton. It is amazing to spend an entire day just looking at how all the parts go together. What a fantastic structure it is. And a lovely feeling at the end of the day when walking to the car one has a renewed sense of one’s own bones stepping out. This entry was posted in Art and tagged drawing, fondness, walking. Bookmark the permalink.